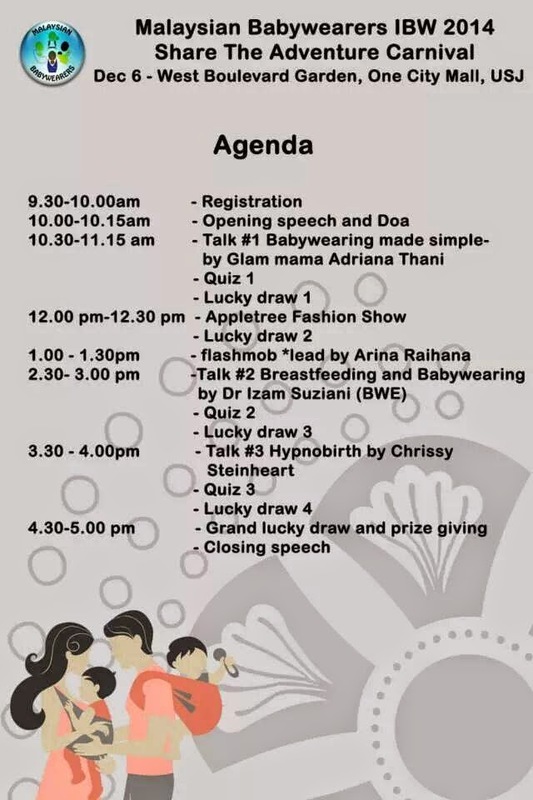 The Diaries of a Glam Mama: Malaysian Babywearers IBW 2014 "Share The Adventure" Carnival - This Saturday! Malaysian Babywearers IBW 2014 "Share The Adventure" Carnival - This Saturday! As you can see, I'll be there! I'll be giving a brief talk about the basics of babywearing at 10.30am, so make it there early if you wanna see me ;) If you have a copy of my book, I'll be there to sign it, and if you haven't gotten your copies yet, then you can get a copy (or two!) at the event itself. You'll also be able to buy all sorts of carriers, toys, clothes, and accessories for both baby and you, so please remember to bring some cash because I guarantee you're going to want to buy a bunch of stuff (I pun excited nak beli for my anak buah who is due anytime soon!). For a full list of vendors, check out the Malaysian Babywearers FB Page. I am so honored to be a part of this event, and I look forward to see y'all there :D Here's a map to the venue to make it easier for you to make it to the carnival. 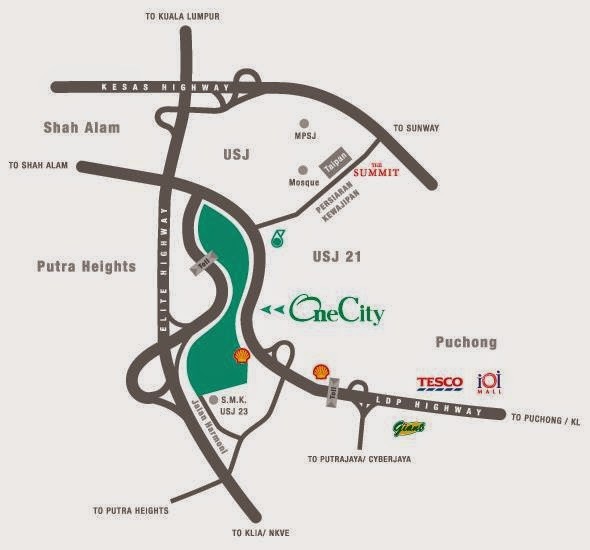 You could also type in "One City Mall" on Waze. Medical reform guidelines passed your home this week with a party-line vote. Late On the night, House Democrats accredited the Senate medical reform deal, sending your legislation for you to President Obama pertaining to his signature bank. Health care insurance strategy contracts would be the most complicated in the policies purchased with the average family members. Understanding how your well being insurance tactic policy policy are going to pay for your current hospital bills might be difficult.